I started blogging way back in 2005 as a way to keep all my personal forum posts about Warhammer 40K in a consolidated spot. My forums were popular and it made it hard to find a particular post from a year back, so the blog made sense. An actual web log. In other words, it was an archive of my activities and not an activity in of itself. That concept remained as I transitioned from Warhammer 40K player to Eve player. My blog was a record of what I did in Eve and not really that important to me beyond something to record thoughts. I wrote for me and the few foolish souls that ventured to it occasionally. Then it all changed. I'm not sure exactly when, but I started to become interested in page views, driving traffic, and generating discussion. Blogging started to become an activity in addition to the activity in game, and I started to desire to have more than just a few friends and acquaintances reading it. 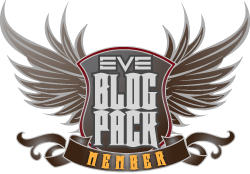 It really became obvious to me when the Eve Blog Pack formed thanks to Crazy Kinux's efforts and I moved to a more consistent posting schedule. I wanted readers and I worked to get them. I started networking more, writing more useful articles as opposed to "this is what I did last night" posts, and encouraging more discussion. And then the E-ON Magazine award nominations came out at the beginning of 2009 and I was nominated for Writer of the Year. I so wanted to win that award. Very much so. I craved recognition, I wanted to be approached in game and asked "you that guy who writes on that blog/Tribune?" I wanted fame or infamy. I strongly suspected I was not destined to win that award; I was up against some stiff competition and I vowed to simply make sure I was in the running again next year. 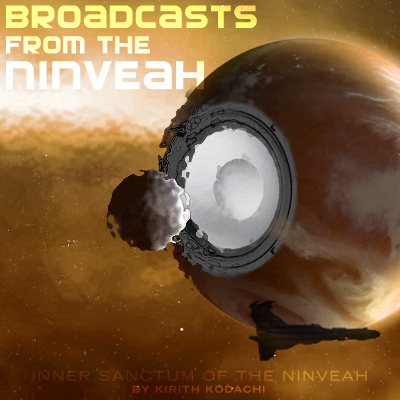 I continued to try and do quality articles for the Tribune, continued to build readership for this blog, posting occasionally on the Eve Forums, commenting on the exploding number of Eve blogs where I can to increase networking, and just generally worked to improve the layout of this blog and its usefulness in the community. It seems to be working and I'm pleased with progress. But what's the next step? 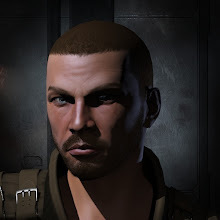 My Fighting Spacecraft articles at the Tribune have worked well on generating name recognition for me in game, not surprising when the Eve Tribune gets hit numbers in the tens of thousands. I considered starting an Eve podcast but I fear my lack of free time in the evenings would doom such a project from the start (although I continue to refine the idea in my head and am considering it for a project 2010). And I'm contemplating a run for Council of Stellar Management next year and I've started considering what my platform would be (keyword: "Revisit!" Take that Obama!). This is all to say that hard work pays off and chance favours the prepared. Last night I got an email asking for an article to be written that would could expand my efforts rather nicely. I won't go into details but suffice to say the deadline combined with topic is heart-attack inducing and I will be busting balls in all my free time next week to pull it off to a level of quality I am happy with. The upshot is that next week blogging might suffer a bit. That's all, carry on. Once you get into the traffic meta-blogging game it really can feel like a chore at times. Sometimes it's worth stepping back and slowing down. That said, I've always found that a pace of one post per weekday is attainable for most authors, unless they're inclined to write novels. You have one of the best researched, most informative, consistently interesting, and well-written blogs out there. No secret, I'm a big fan of your blog. I admire your analytical approach to tracking page view information and such. I'm sure you'll be appalled at the fact that I rarely look at page view data for my own blog. A spot check just now of Google Analytics (which I don't believe is all that accurate) informs me that my May 7 Aeon kill post got almost 700 views whereas the daily average is somewhere between 100 and 300 (more when I offer a new post). The free StatCounter counter currently registers 37,289 page views for the blog overall. The last time I remembered to look at that (sometime last year, iirc), it was just over 11,000. I blog primarily for my own enjoyment, and don't really focus consciously on building readership. I just do what I do and the audience magically seems to show up. It tickles me that nearly 100 people follow my blog, even if I'm kinda mystified where they came from. Sometimes I think I ought to be more analytical about all this, but I'm too lazy to worry about it at the end of the day. I am completely addicted to Google Analytics. I check it every few days to get a feel for if people are reading, what they are reading and where the hits come from. That being said, I think the thing that I enjoy the most is the when comments get left. Numbers are numbers but when someone responds to a post and leaves a message, you actually get a feel that people are reading what you're writing and interested/stimulated enough by it to respond. Spec, I agree. Comments are really the thing I use to judge interest in what I write about. P.S. Kirith--about that podcast, I wouldn't mind lending a voice either. Keep up the great writing if that's what you enjoy Kirith. Yours is by far my favorite Eve blog out there and a consistent high point in my daily internet reading. Hope things keep on going well. A eve-blogger podcast would be a nice little project. Gratz on the super secret project.... I am sure it will turn out excellent. unlike you i wanted people to comment on my blog from day 1 but I get where you're coming from. Now I do not know crap about podcasting, I think the workload is staggering, CK and the others might be able to give you that info, as far as help though if you want it...you got it. Keep on writing and I'll keep on reading!